TORONTO, February 23, 2018 – With a net gain of seven new public audit clients for 2017, PwC Canada led the Big Four in 2017 Canadian public client gains and losses, according to SEDAR analysis provided to Canadian Accountant by U.S.-based Audit Analytics. Of the 20 new public clients added overall by PwC in 2017, the largest by market capitalization was the Canadian subsidiary of Progressive Waste Solutions, rebranded in 2017 as Waste Connections of Canada, at $11.5 billion (all figures in Canadian dollars). Large-cap clients listed on the Toronto Stock Exchange typically account for the largest gains in audit fees. KPMG came in second among the Big Four with a net gain of two public clients, with Calgary-based Enerplus Corporation its largest new client by market cap, at $2.6 billion, and $655,000 in audit fees. Deloitte, however dominated the market cap rankings, at $21.2 billion, which accounted for half of the total market cap of all new public clients added by Canadian auditors in 2017. The firm added Fortis Inc., the global electric utility company based in St. John's, Newfoundland and Labrador, with a market cap of $17.3 billion, including its subsidiaries in B.C. and Alberta. The audit gain helped Deloitte to also lead the annual list of new public clients by audit fees, at $7 million, out of $29.8 million overall. Among the small and medium-sized enterprises (SME) accounting firms, whose clients are typically listed on the TSX Venture Exchange, Vancouver-based DMCL (Dale Matheson Carr-Hilton LaBonte LLP) netted 23 clients on 29 new engagements overall, leading all Canadian auditors in both net and new public audit clients. 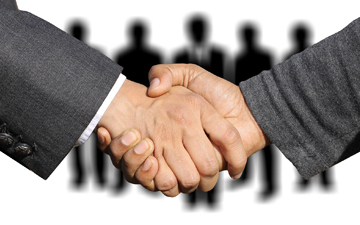 Another Vancouver-based firm, Davidson & Company, netted 12 clients on 25 new engagements. Notably, Davidson added two clients listed on the Toronto Stock Exchange, including Alaskan gold miner International Tower Hill Mines Ltd., with a market cap of $105 million. Other notable gains, by market cap, included EY signing auto parts distributor Uni-Sélect Inc. ($1.5 billion), Grant Thornton signing Crius Energy Trust ($413 million), and MNP signing marijuana maker Hydropothecary Corporation ($120 million), which recently won the largest award for cannabis distribution in Quebec. Through its partnership with Canadian Accountant, Audit Analytics provides our readers with an exclusive preview of auditor gains and losses. The full report from Audit Analytics will be available on Monday, February 26, 2018, at www.auditanalytics.com/blog. That reports lists comprehensive data from the top 12 firms in Canada. We will issue an update to our readers when that report is live. Data provided by Audit Analytics. 2017 Client Gains and Losses are provided by Audit Analytics, which provides insight into the Canadian audit marketplace through market intelligence, due diligence, compliance monitoring and trend analysis. Its Canadian databases provide detailed research and expert analysis on nearly 4,000 companies filing with SEDAR. 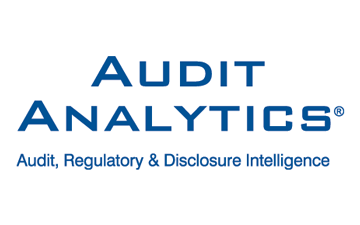 Contact them at 508 476.7007, info@auditanalytics.com or auditanalytics.com.